Very clean, comfortable rooms with a great complimentary breakfast! Plus pets stay free, which is a huge bonus. Will definitely stay here again! The room is spacious compared to other hotels we have stayed at in this area. Where to find Superior hotels near an airport? Where can I find hotels in Superior that are near tourist attractions? Accommodation options are limited within Superior. You will find, however, 9 places to stay just an easy drive away. 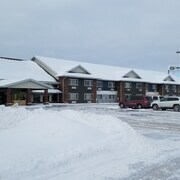 The closest Expedia-listed hotel is the The Inn on Lake Superior, Minnesota, which is located 20 kilometres (13 miles) from the middle of Superior. As an alternative, you could try the Sheraton Duluth Hotel, located in Minnesota, which is 20 kilometres (13 miles) away. 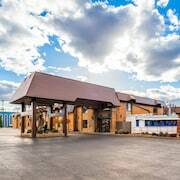 The Super 8 Superior is one of a limited number of cheaper choices in Superior. 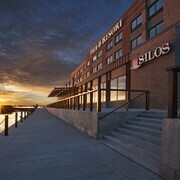 Check out the Residence Inn by Marriott Duluth and also the Hampton Inn Duluth Canal Park. 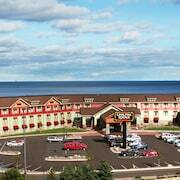 The Residence Inn by Marriott Duluth can be found 25 kilometres (14 miles) from the center of Superior. 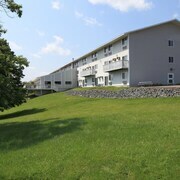 The Hampton Inn Duluth Canal Park, is situated 20 kilometres (13 miles) away. 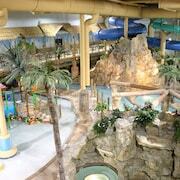 Some other options include the Holiday Inn & Suites Duluth Downtown and the Beacon Pointe Resort. Why not enjoy some more of the forests and lakes to be found in Northwest Wisconsin? Plan to spend a few days in other parts of Northwest Wisconsin. No matter if you join in with the common local activities, for example snowboarding, or travel around to see the attractions, you will be able to reserve suitable accommodation in the vicinity. The Crooked Lake Park is a often visited place of interest here. Find accommodation in Siren, , 95 kilometres (58 miles) to the south of central Superior. The Best Western Northwoods Lodge and The Lodge at Crooked Lake are among your choices. Before you head home from Northwest Wisconsin, make sure you catch some sport. Visit AMSOIL Arena to the north of Superior. 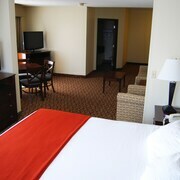 Sleep close to the action at the Radisson Hotel Duluth - Harborview or the Comfort Suites Canal Park. If you are flying into or out of Duluth International Airport and plan to stay nearby try Fairfield Inn By Marriott Duluth or Country Inn & Suites By Carlson, Duluth North, MN. What are the most popular Superior hotels? Are there hotels in other cities near Superior? What other types of accommodations are available in Superior? Explore Superior with Expedia.ca’s Travel Guides to find the best flights, cars, holiday packages and more!